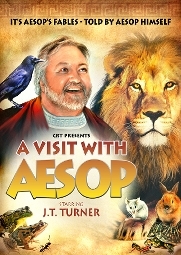 It's Aesop's Fables - told by Aesop himself, in the highly entertaining production in the classic CRT style! The Colonial Radio Theatre on the Air presents J.T. Turner as Aesop in A VISIT WITH AESOP. Highly entertaining and funny, this will surely be enjoyed by both children and adults. Based on his stage play, J.T. Turner weaves these tales in such a way that you will feel you are hearing them for the first time. The Boy who cried Wolf, The Mouse and the Lion, The Grasshopper and the Ant - they're all here, and will surely give you a smile and some laughs .... no matter WHAT your age is! A VISIT WITH AESOP is a new gem that your family is sure to enjoy. A poor woman lives far from London in a cottage with her "indolent, careless, and extravagant" son, Jack. The two have little money and are forced to sell their last possession, a cow. Jack leads the animal along the road and meets an old man who trades some magic beans for the cow. Jack’s mother is furious when she discovers he has come home with no money, and tosses the beans away. 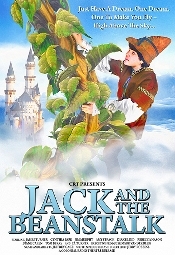 The next morning, Jack finds a beanstalk has grown to the clouds and climbs it … finally reaching a castle, high above the sky! “Once upon a time in the middle of winter, when the flakes of snow were falling like feathers from the sky, a queen sat at a window sewing, and the frame of the window was made of black ebony. And whilst she was sewing and looking out of the window at the snow, she pricked her finger with the needle, and three drops of blood fell upon the snow. And the red looked pretty upon the white snow, and she thought to herself, "Would that I had a child as white as snow, as red as blood, and as black as the wood of the window-frame." Soon after that she had a little daughter, who was as white as snow, and as red as blood, and her hair was as black as ebony; and she was therefore called Little Snow-white. And when the child was born, the Queen died. 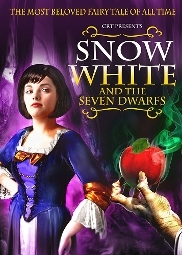 A year later, the King remarried a haughty and vain woman and that’s when Snow White’s troubles began.